Every contribution made to Rock Point School is used to strengthen our mission now and into the future. 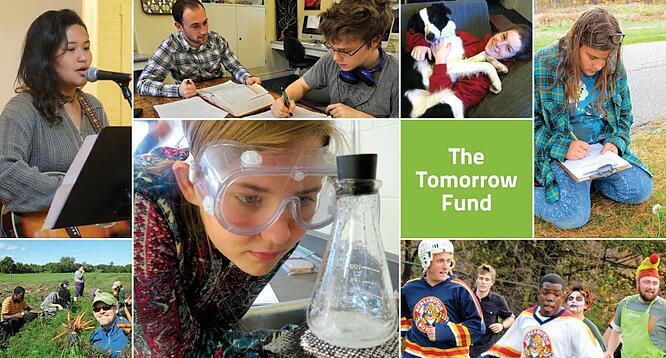 The Tomorrow Fund at Rock Point School supports our priorities of student aid, academic and student programs, campus enhancements, and faculty development. Consider a gift today to help us continue our path of helping young adults become their best selves. Students leave Rock Point School with increased competence and confidence, ready for the next set of challenges they will find in college, the workforce, or other ventures of their choosing. Our financial aid budget can only assist a small percent of the student body in joining the special community that is Rock Point School. We need your help to do more. Rock Point School is a registered 501(c)(3) nonprofit institution. Any donations made to the School are tax-deductible to the extent provided by law. Our Tax ID number is 03-0185809.